Tuscaloosa, AL…Today Peco Foods announced plans to build a fully integrated poultry complex in Randolph and Clay Counties in northeastern Arkansas. The new facilities will include a hatchery, feed mill and processing plant. Through both locations, the company plans to invest an estimated, $165 million and create 1,000 new jobs. This morning in Little Rock, Mark Hickman, president and CEO of Peco Foods, joined Arkansas Governor Mike Beebe, local, regional and state economic development officials and elected officials for the announcement at the Arkansas State Capitol. Peco has had a presence in Arkansas since 2011 when the company acquired the Townsends Poultry Complex in Batesville. In addition to the Batesville facility, Peco operates a feed mill in Newark, Arkansas. Through such acquisitions and expansions, Peco has grown to become the eighth largest poultry producer in the United States, processing approximately 24 million pounds of poultry each week. Hickman emphasized that one of the most important aspects of this new complex is that it will enable Peco Foods to expand its rapidly-growing niche as a preferred supplier of raw poultry commodity meats for value-added national accounts. He described that as a key strategy of the company’s growth going forward. Construction will begin in two phases. Groundbreaking on the feed mill site is set for April and the first stages of work on the hatchery and processing plant will begin in July. Mark Hickman said Peco will incorporate state-of-the-art waste water treatment and protein conversion facilities in the new complex and will utilize the latest technology. 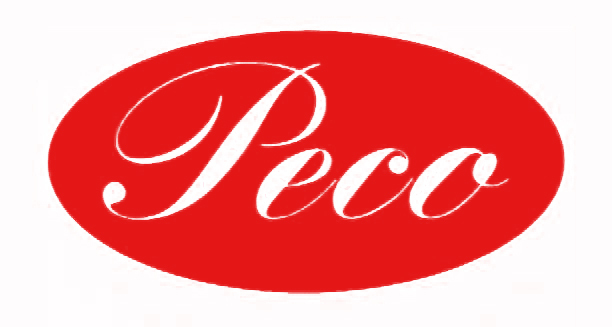 Peco Foods is recognized worldwide for its dedication to quality and customer satisfaction. It is a premier jumbo bird company supplying many kinds of boneless products to national restaurant chains, regional food service distributors, and retail grocers to customers throughout the United States and in world markets. Headquartered in Tuscaloosa, Alabama, Peco Foods has processing plants throughout Mississippi, Alabama, and Arkansas. The central location of Peco’s plants guarantees fresh delivery in less than 72 hours anywhere within the continental United States. Copyright 2012 - 2018 Northeast Arkansas Regional Intermodal Authority - Promoting Economic Development in Northeast Arkansas.